Our exploration of the use of modern data analytics to enhance investment results continues this week with two of the leading providers of tools for portfolio managers. 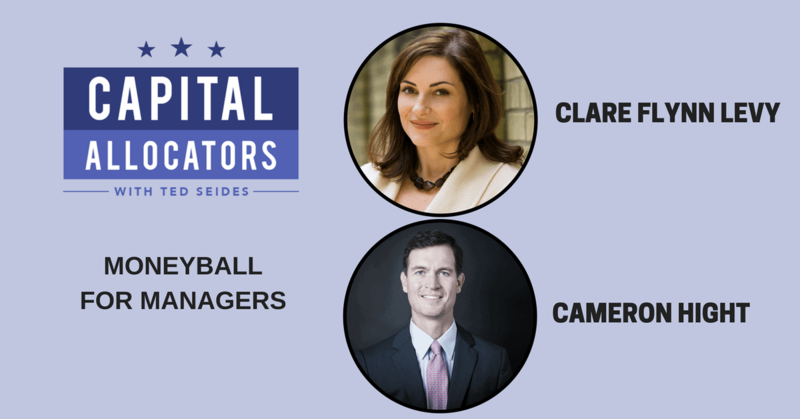 My guests on today’s show are Clare Flynn Levy and Cameron Hight, both former investment managers who became entrepreneurs seeking to improve outcomes for other managers. Clare is the founder and CEO of Essentia Analytics, a behavioral data analytics service that enables fund managers to capture rich data about their own behavior and its context. Essentia analyzes trading history to help managers overcome common behavioral biases and optimize their trade entry and exit on positions. Cameron is the Founder and CEO of Alpha Theory, a fintech company that helps investment managers optimize their position sizing process. By creating a disciplined, real-time process based on a decision algorithm with roots in actuarial science, physics, and poker, Alpha Theory takes the guessing out of position sizing and allows managers to focus on what they do best – picking stocks. Our conversations cover the founding of their respective businesses, the mistakes portfolio managers commonly make, the tools they employ to help managers improve, and the challenges they face in broader adoption of these modern tools. The good news is the clients of Essentia and Alpha Theory have demonstrated improvement in their results after employing these techniques. If you ask Clare and Cameron, you may come a whole new appreciation about the potential for active management going forward. You can learn more about these two innovative companies at essentia-analytics.com and alphatheory.com.